Nationalism is a term used to describe a fervent emotional identification with one's country and its people, customs, and values. In politics and public policy, nationalism is a doctrine whose mission is to protect a nation's right to self-govern and shield fellow residents of a state from global economic and social pressures. The opposite of nationalism is globalism. 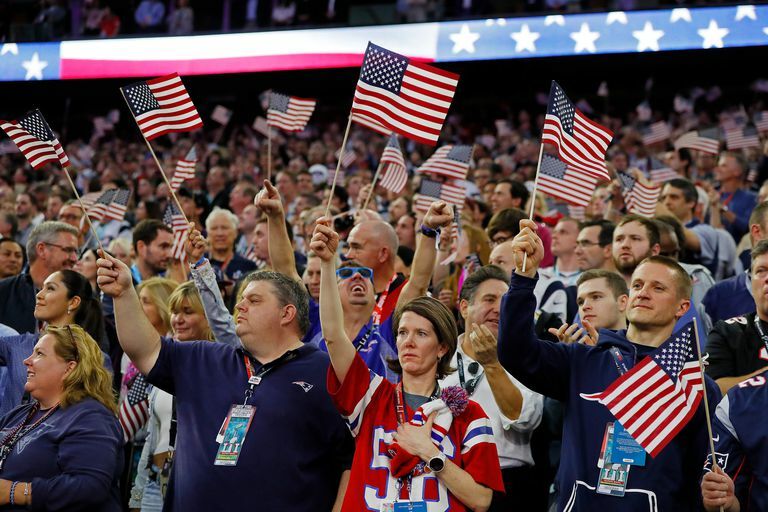 Nationalism can range from the "unthinking devotion" of flag-waving patriotism in its most benign form, to chauvinism, xenophobia, racism, and ethnocentrism at its worst and most dangerous. "It is often associated with the sort of deeply emotional commitment to one’s nation — over and against all others — that leads to atrocities like those committed by the National Socialists in Germany in the 1930s," wrote University of West Georgia philosophy professor Walter Riker. In the modern era, President Donald Trump's "America First" doctrine was centered on nationalist policies that included higher tariffs on imports, a crackdown on illegal immigration, and the withdrawal of the United States from trade agreements his administration believed were harmful for American workers. Critics described Trump's brand of nationalism as white identity politics; indeed, his election coincided with the rise of the so called alt-right movement, a loosely connected group of young, disaffected Republicans and white nationalists. "In foreign affairs, we are renewing this founding principle of sovereignty. Our government's first duty is to its people, to our citizens, to serve their needs, to ensure their safety, to preserve their rights and to defend their values. I will always put America first, just like you, as the leaders of your countries, will always and should always put your countries first." "The outlines of a benign nationalism are not hard to discern. It includes loyalty to one’s country: a sense of belonging, allegiance, and gratitude to it. And this sense attaches to the country’s people and culture, not just to its political institutions and laws. Such nationalism includes solidarity with one’s countrymen, whose welfare comes before, albeit not to the complete exclusion of, that of foreigners. When this nationalism finds political expression, it supports a federal government that is jealous of its sovereignty, forthright and unapologetic about advancing its people’s interests, and mindful of the need for national cohesion." Many argue, though, that there is no such thing as benign nationalism and that any nationalism is divisive and polarizing at its most innocuous and hateful and dangerous when carried to extremes. Nationalism is not unique to the United States, either. Waves of nationalist sentiment have swept through the electorate in Britain and other parts of Europe, China, Japan, and India. One notable example of nationalism was the so-called Brexit vote in 2016 in which citizens of the United Kingdom chose to leave the European Union. Restrictive nationalism, or the belief that the only true Americans are Christians, speak English, and were born in the United States. Ardent nationalism, or the belief that the United States is superior ethnically, racially, or culturally to other countries. This can be referred to as ethnic nationalism, too. White nationalists espouse white supremacist or white separatist ideologies and believe non-whites are inferior. Those hate groups include the Ku Klux Klan, neo-Confederates, neo-Nazis, racist skinheads, and Christian Identity. Civic or liberal nationalism, the belief that America's democratic institutions and constitutionally protected liberties are superior, or exceptional. Here's where you can read more about all forms of nationalism.